Can Homeowner's Insurance Cover Damage From Freezing Pipes? The “Polar Vortex” has already wrought havoc in states along the East Coast and Midwest, and more record-breaking cold weather is anticipated. When temperatures fall and remain below freezing, homeowners and landlords often encounter unusual and challenging weather-related issues with their properties, such as freezing pipes. Property owners may find themselves managing the aftermath of a burst frozen pipe while assuming that they can file a claim against their insurance policy for coverage, but this isn’t always the case. The New York Court of Appeals recently refused to consider a homeowner’s appeal of a denial of coverage lawsuit based on damage caused by frozen pipes that had burst. 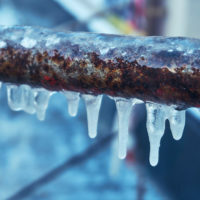 Learn more about insurance coverage and frozen pipes below, and contact a New York insurance defense attorney for help with a coverage dispute or claim denial. The Court of Appeals recently rejected an appeal of the decision in the case titled Stephenson v. Allstate Indemnity Co. The Appellate Division’s decision, from which the homeowner’s representative appealed, had dismissed a lawsuit based on a denial of coverage. Gloria Thornhill, now deceased, had owned a home in Binghamton, New York (the administrator of Thornhill’s estate, Oronde Stephenson, took over the claim after Thornhill passed away). She was away from the home from December to March, and upon her return discovered that a frozen pipe had burst and caused a large amount of water damage to her home. Thornhill had not shut off the water nor drained the pipes before she left. When she filed a claim with Allstate for the water damage, Allstate denied the claim. Thornhill’s policy excluded the type of damage that her home had suffered. The court’s opinion quoted the policy’s exclusion of coverage for damage caused by “freezing of plumbing. . . while the building structure is vacant, unoccupied or being constructed unless you have used reasonable care to: (a) maintain heat in the building structure; or (b) shut off the water supply and drain the system and appliances.” During an interview with a claims adjuster, Allstate claimed that Thornhill admitted that she had not arranged for someone to check and see whether the home was being heated while she was gone. Allstate also presented evidence showing that there had not been enough natural gas usage by the home to keep it heated and prevent the pipes from freezing while Thornhill was gone. In response to Allstate’s evidence, the plaintiff presented testimony of a groundskeeper who checked on the home while she was gone, who stated somewhat vaguely that he had never noticed that the heat was off, but that he was never asked to check whether the home had been adequately heated. The plaintiff also attempted to argue that Allstate should be required to show why the heating system had failed to heat the home, but the court pointed out that, regardless of the reason it may have failed, the plaintiff had not taken reasonable care to ensure that the home was heated. The court concluded that the plaintiff had failed to show that the exclusion should not apply and dismissed the claim. 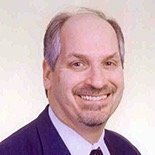 For questions on insurance claims defense, toxic tort, or chemical exposure claims in New York, contact the knowledgeable and professional Islip insurance defense attorney Richard A. Fogel at 516-721-7161.